Balmy, still and expectant. This ain’t Ireland in November, is it? In the middle of it all is TJ Perenara, his call to arms falling mute on an already hushed Aviva turf. The silence continues for a few seconds, before a few locals crack. Random calls of Ireeeland ping around the stadium. One from behind me is met with a round of disapproving shushes. ‘You can **** off with your shushes’, comes the sharp reply and I chance a quick a grin at Gordo. History has seen us lock out many a scrum together, not so tonight. Tonight he’s green and I’m black. TJ raises his arm and on cue the rest in black to join in, but it’s the movement of a green wall that catches the eye. Shushing is no longer on the agenda, the Aviva is roaring. Buck Shelford and Willie Anderson flash large. Written into my mind is a famous haka, a start of fire and brimstone and ultimately an All Black victory. A different kind of history beckons for this Irish team though and the wall stops, a step after it starts. Measured, composed and connected. Challenge accepted. Kapa O Pango concludes and the night air is whipped into a chorus of The Fields of Athenry. Barrett kicks off deep and Kieran Marmion returns shallow. 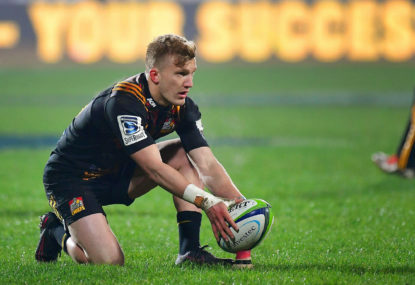 Keith Earls and Damian McKenzie collide mid-air. Ardie Savea regathers and McKenzie is left to dust himself off, a tough night awaits. The start is cagey and both teams like the boot, with a Beaudie dink winning the duel. The spoils, a lineout in the same corner Malakai Fekitoa scored two years ago. Frostbitten hands and a sense of inevitably, is my memory of that score, but things feel different tonight. Gloveless, I watch lone All Black artillery disappear into an advancing emerald tide. Inescapable is the new inevitable and it’s Kieran Read who eventually succumbs. Falling poorly into the waiting arms of a Josh van der Flier-CJ Stander combo. Gordo reacts knowing Ireland have drawn first blood. It’s not the shock and awe of Twickenham, but more ominous in it’s restrained neutering. Jonny Sexton’s touch finder sees Ireland stretch their legs. 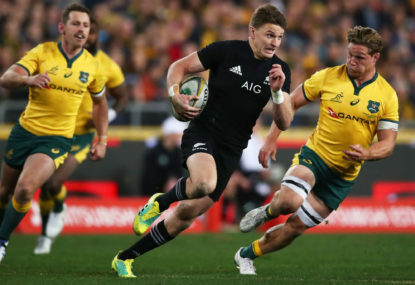 The All Blacks defence looks comfortable, but it’s clear Irish ball is speedier. 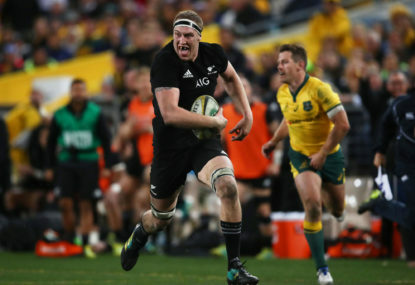 Too quick for Brodie Retallick apparently. His dense penalty allows Ireland’s snappy rucks to continue into the 22 and a clever switch, creates space for Earls to dance to the five-metre line. His extra metres matter and the darkness are caught in front of the last feet. Sexton obliges to make first blood official. Beaudie goes deep again and a pattern emerges. Shallow kicks find a harried McKenzie, black stay narrow and green dominates the gain line. A loose Best carry, finally gives the All Blacks some relief and Beaudie kicks true. Ireland remain in the ascendancy, but openings do present. Sam Whitelock is put into space, before confusingly lumbering away from support. An overlap is created, but the green collective is like an onion and Garry Ringrose spot tackles Beaudie to force the turnover. Liam Squire seatbelts Stander on the counter and Ireland are back on the march. Inexplicably, Whitelock compounds issues by playing Carrey to Brodie’s Daniels and it’s only Ardie’s torso and a Rob Kearney bobble that keeps Ireland to three. The deep serve and shallow return continues on kick off. Although, this time the wriggly feet of McKenzie wins some momentum. The green wall is as connected, as ever and Beaudie takes a drop on advantage, signalling the mindset. We’re back on parity, but the sounds of a creaking All Black pack are becoming more audible. A knock on from Reiko Ioane, when a hack was more prudent and the Irish scrum can flex their muscles. The black eight holds, but when the squeeze comes Big Karl Tu’inukuafe is popped and then pincered by Peter O’Mahoney for good measure. Attention to detail maketh the player. The noise in the stadium lifts a few notches, as Ireland chose the line with a yellow spectre haunting black. A thwarted maul and All Black false start later and thankfully we escape with only a warning from referee Barnes. The old lad behind me leans over to ask if Wayne has a New Zealand passport. With his wife shushing him, I explain that he hasn’t been allowed in NZ since ‘07. He looks at me quizzically and sits back in his seat. “Typical Leinster fan,” mutters Gordo. Half-time comes and goes without the customary All Black score or a halftime Guinness for that matter. I can only imagine it’s a rather thirsty Aviva, as few leave their seats. No one wants to miss the resumption. Sexton restarts to a contest and caginess is again the order of the day. Despite a slight stutter the All Blacks look more composed and then all of a sudden Stockdale goes off script. His chip is blocked by a flying Read and with Jack Goodhue on his outside, I smell a meat pie. Read unfortunately isn’t hungry and he fumbles the regather. “Any other night, you score that” says Gordo. Hope builds, as our scrum steadies, ruck ball quickens and the gain line looking more attainable. Putting together phases we venture into the Irish 22 and I sense an ebb in the emerald tide. A big play is looming large and when Ardie ventures too close to O’Mahoney, it’s the big man who claims the moment. And just like that the game changes. O’Mahoney wins the line out, Bundee runs a neat switch and suddenly Stockdale is chipping over a fallen Read. With Ben Smith and McKenzie Yokohamaed, Ireland score a peach of a try. I guess, our love was on the wing all along. The Aviva erupts and I slump back into my seat. Staring blankly at the Irish celebration, I feel a tap on the head and look up to find a grinning giant. Match day program in hand, he greets me with ‘Chin Up there lad’. I smile wearily at all 6’5″ worth of neck and cauliflowered ears and put my head in my hands. Devin Toner’s withdrawal signals a shift in the set-piece balance and the lineout joins the scrum in tilting to black. It’s a smart All Blacks lineout that allows Reiko to break, before he guiltily turns it over. 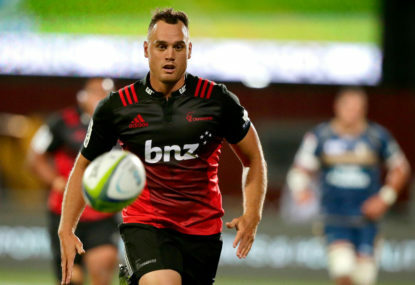 Still, more opportunities emerge, an O’Mahoney superman robs Bender of a try, Beaudie then goes close before suffering from Reiko’s disease and with Dane Coles overthrowing twice, the score refuses to budge. 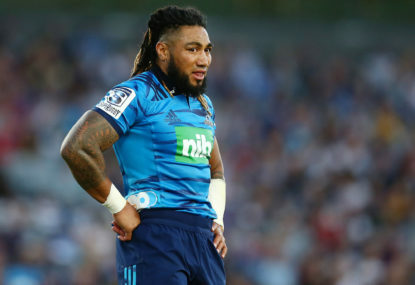 It’s almost ten to go, when Richie Mo’unga takes it flat and catches Sexton’s forearm. Read takes the points and it’s a one score game. With belief amongst Farrell’s Company unwavering, territory becomes the order of the night. The green wall absorbs phase after phase, as the All Blacks explore every inch of the own 22. Eventually we are put out of our misery, as Sexton and Stockdale bundle Bender into touch. “Win the lineout, win the game,” I say to Gordo and I can only assume Rettalick heard me and his big mitt gives us lifeline. 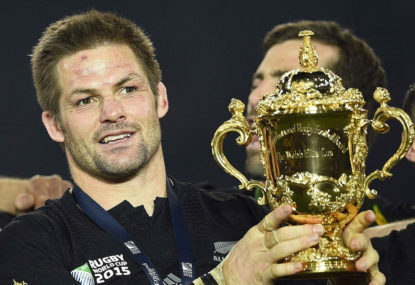 Any joy is short lived and the All Blacks territorial purgatory continues. After minutes in possession the best we can muster is an exhausted chip that Lamour claims. Two minutes remain and quick ruck ball is a priority no more. “Too long to kill the game,” says Gordo and McGrath dutifully agrees. Beaudie gathers and it’s now all or nothing. The Aviva stands to attention and Ireland’s call is deafening. The green wall endures, but the tide is retreating to reveal ghosts of comebacks past. Reiko almost pierces on the left flank and then Ben Smith sees space down the right. Not once, but twice, Joey Carberry stops him from finding it. The darkness are now in the 22, but the green line remains patient. A moment of hesitation and a Matt Todd settler is enough to slow the tempo. TJ recharges and Barrett sniffs for a gap, before going to ground defeated. Whitelock then carries and TJ hits his 2nd playmaker with width. Mo’unga passes onto England’s conquer and agonisingly he has a look. Brodie drops to haunches and 113 years of worth of celebration comes crashing down. I stare around at the frenzy and can’t help but break into a disappointed smile. Guess this is Ireland in November, after all. Same month next year?